The Alouette II accomplished its first flight Mars 12, 1955. 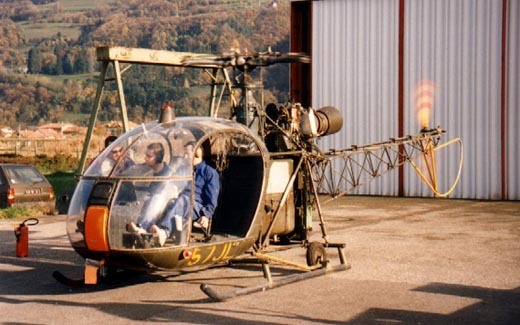 It was conceived by SNCASE on the basis of Alouette prototype with a turbine instead of traditional piston engine, which made of it the first turbine-powered helicopter in the world with being marketed. June 6, 1955, Jean BOULET tackled the altitude record for all categories and brought Alouette II to 8209 meters then to 10984 meters on June 13, 1958. 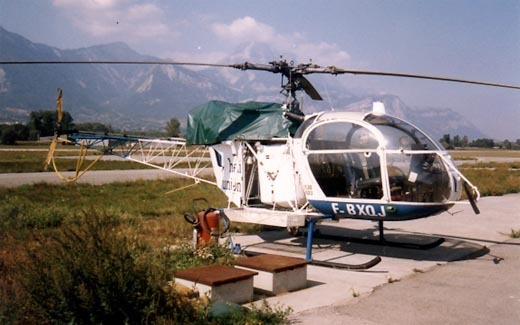 July 3, 1956, serial Alouette II s/n 2 done the first mountain-rescue by helicopter, with more than 4000 meters of altitude and with a huge wind, by evacuating a mountaineer victim of a cardiac faintness. January 3, 1957, they are also two Alouette II which ended the dramatic adventure of the mountaineers Vincendon and Henry and their rescuers captive of the Mont Blanc mountain (France). 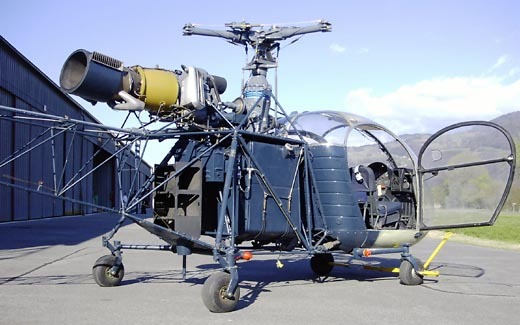 The Alouette II in military version is used for research and rescue, linking, and surveillance missions. It was used by the ALAT equipped with missiles SS-11. In France, they were retired from armed forces in 1999. Alouette II is also very widespread in the civil world, where it is used for all types of work. The SE-3130 s/n 1440, restored from 1982 to 1989 with several wrecks. It is showed in medical evacuation version. The SE-3130 s/n 107, registred 57JL was used in Algeria, at N'Djaména (Tchad), and at Djibouti. This helicopter is the only one being potentially in state of flight. 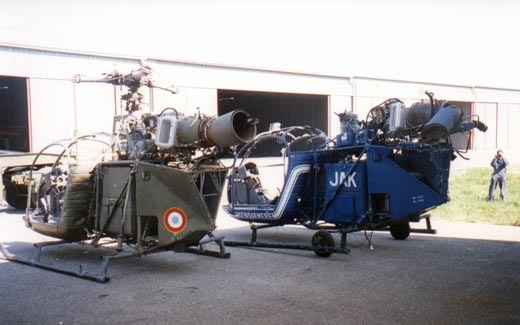 Two SE-3130 s/n 1730 et s/n 1219, which served respectively in the Gendarmerie Nationale and Armée de l'Air, before being destroyed by the DGA during Mistral missile trials. Many trial evolutions were done on Alouette II but little led to marketed versions. Among these attempts without continuation, it is advisable to quote entirely ducted VIP version SE-3131 Gouverneur, mother of Alouette III. Only two versions were mass produced : the SE-3130 with Artouste II turbine and the SE-3180 with Astazou turbine (new names SA-313 and SA-318 since 1967). 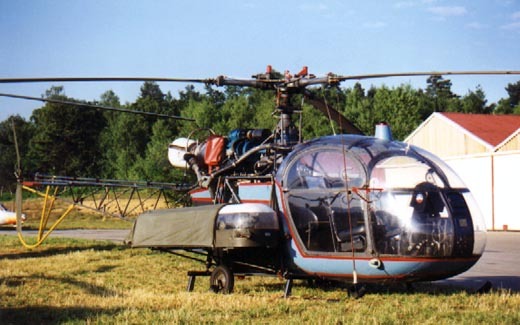 Lastly, Alouette II gave birth in 1968 to the SA-315 Lama. 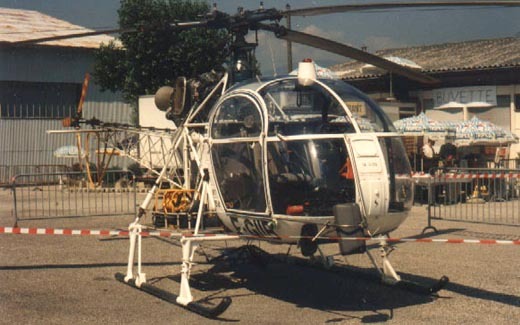 Derived from the SE-3150 prototype, the Lama is composed of a reinforced structure with mechanical sets and engine of the Alouette III Designed especially for high altitude operations, the Lama is primarily used for aerial work, like installation of powerlines in mountain. This derivative, the SA-315 Lama, holds the absolute altitude record for all types of helicopters since 1972 : 12,442 meters.